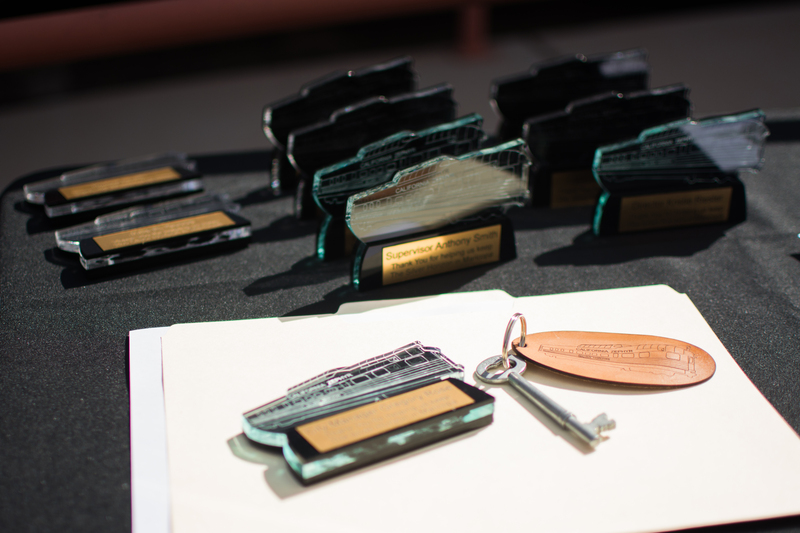 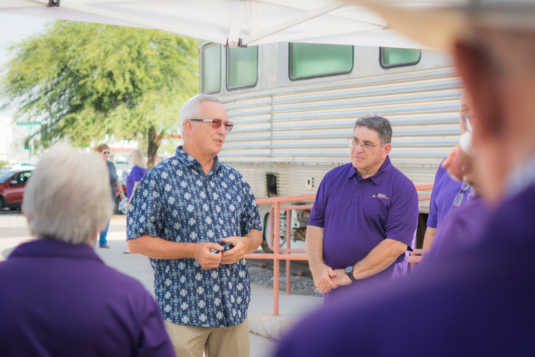 A Maricopa icon officially became part of the Maricopa Historical Society’s inventory Saturday. 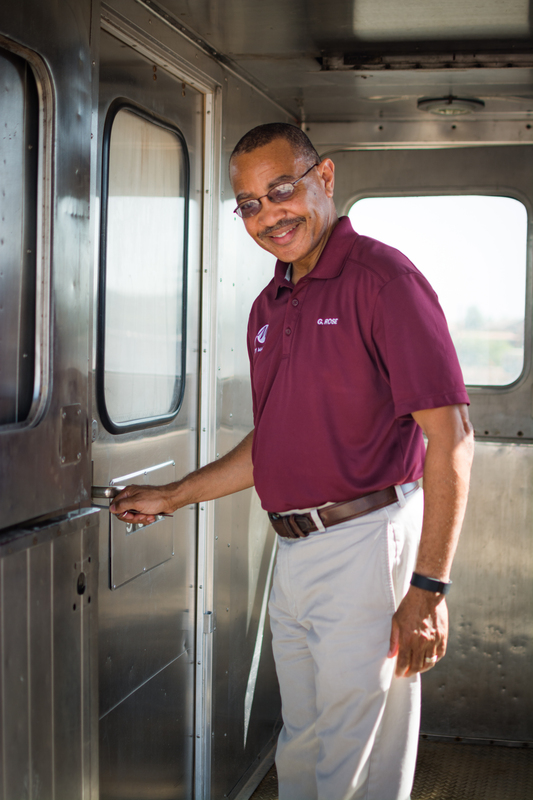 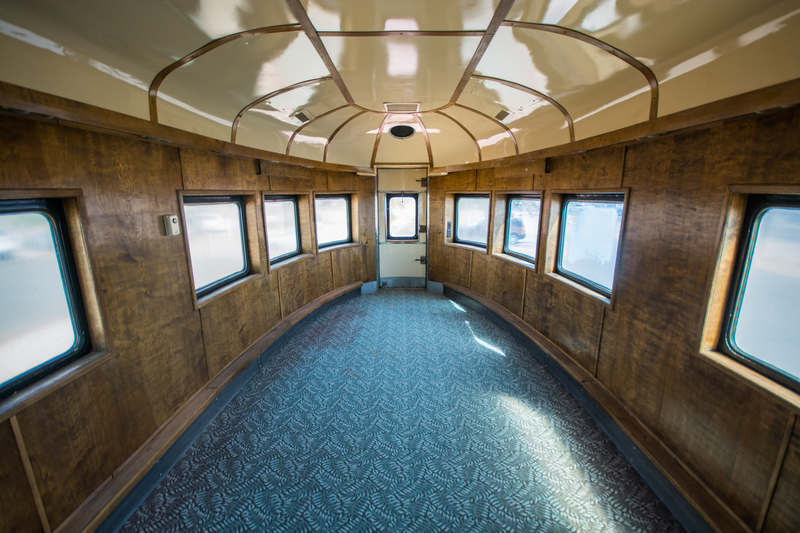 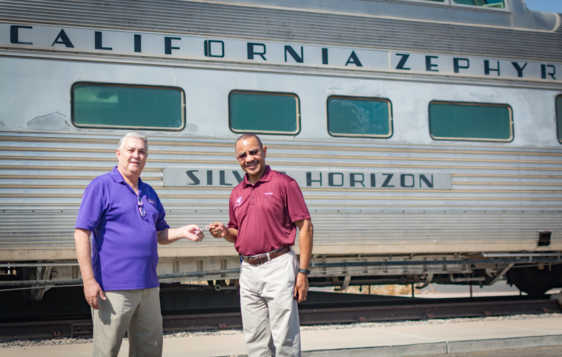 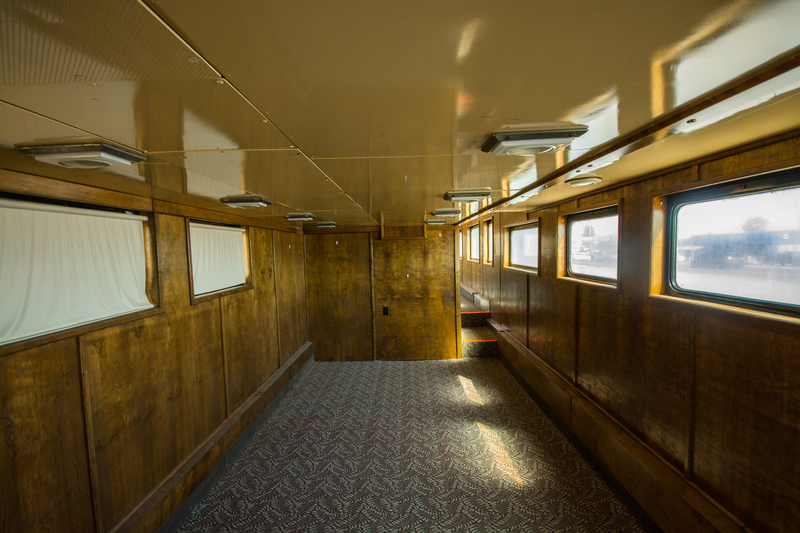 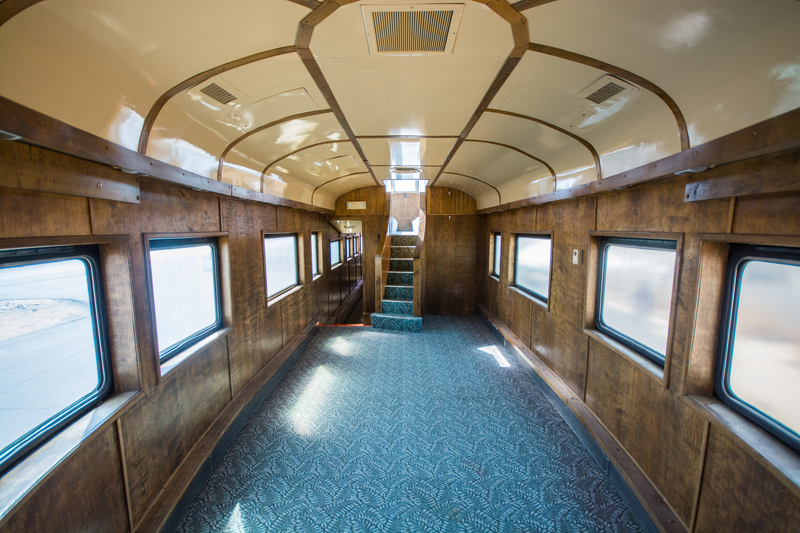 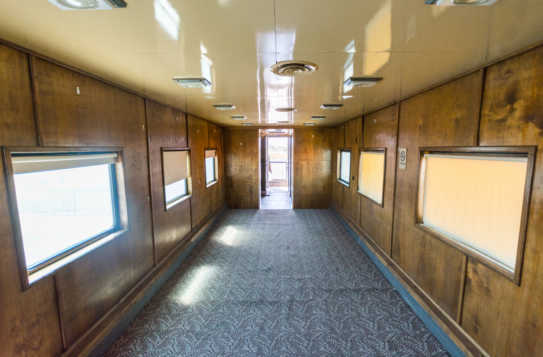 The famed Zephyr railcar was added to the Maricopa Historical Society’s list of assets at a breakfast ceremony July 15 where Pinal County officials handed over the key and an official bill of sale for the $1 purchase. 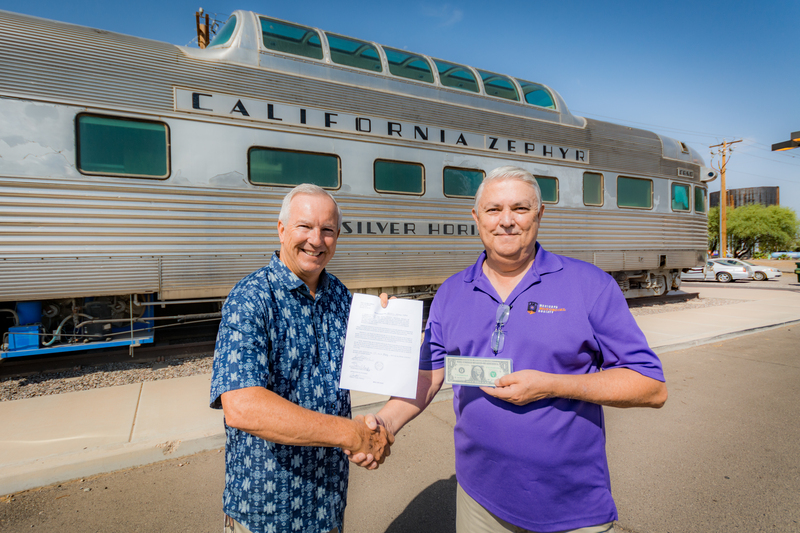 Pinal County Supervisor and former Maricopa Mayor Anthony Smith presented historical society president Paul Shirk with the documentation to make the transaction official. The historical society took control of the icon, which holds a storied service history, even finding mild fame in retirement when it appeared in the Hollywood blockbuster Pearl Harbor. 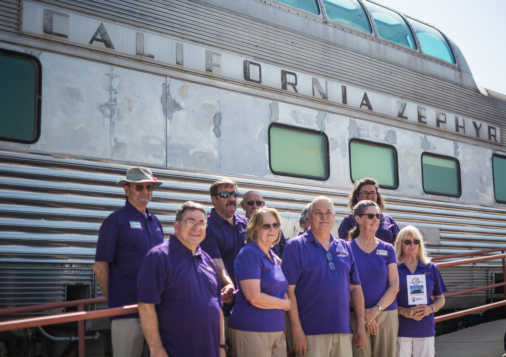 The historical society is now in the process of determining the fate of the Zephyr. Maricopa Historical Society members hope it will become a museum, showcasing Maricopa’s history. 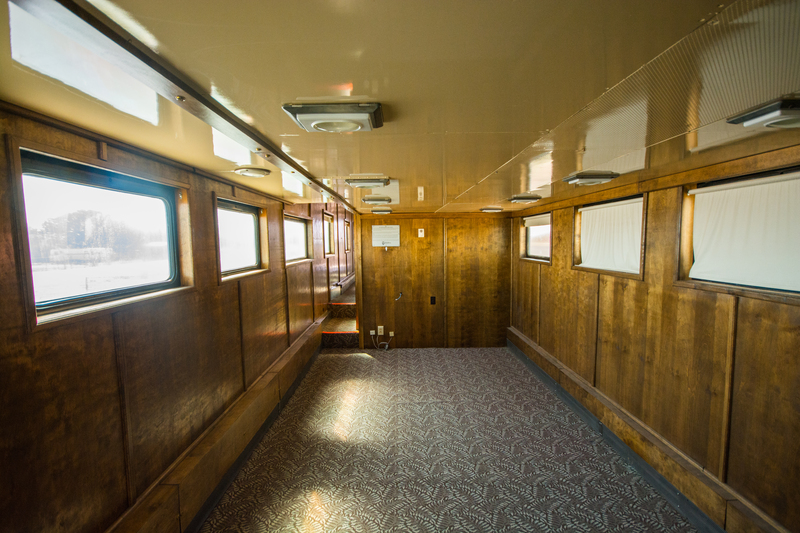 However, a new home must be chosen before any serious renovation can occur. 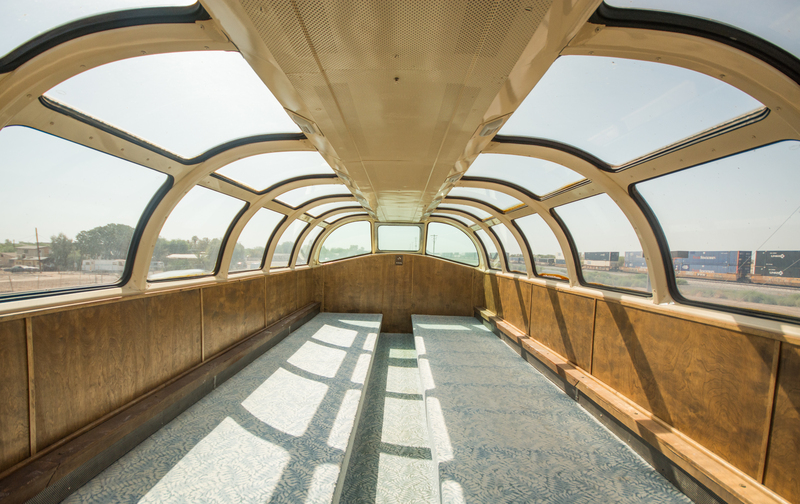 The Zephyr’s current location will be affected by the SR 347 overpass project, which is scheduled to commence this fall. 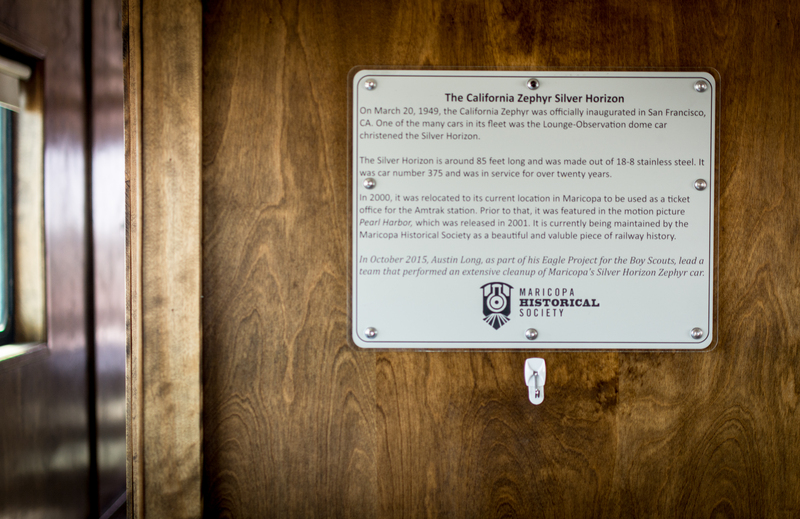 Shirk said the historical society is working hand-in-hand with the City to find an appropriate location. The Maricopa Historical Society meets at the Maricopa Public Library the first Monday of every month at 5:30 p.m.